Tampa homes are the perfect candidates for outdoor shutters. These additions can add protection, privacy, and even market value to your home. They also come in many styles and colors to fit every style. Exterior shades provide the perfect solution for window safety when hurricane season hits. These blinds stay up year-round and take only a few moments to close and secure with ease, leaving you further prepared for severe weather. With outdoor shutters, your house can be ready for a severe storm in Tampa within moments. In addition, you will not have to worry about buying plywood or other materials to board up your windows last-minute. Master Aluminum provides hurricane-rated blinds. They are welded to maximize strength and keep the frame from bowing. In addition, a powder coating with a polyester super durable powder is used to finish the blinds. This makes them even more durable and weather-resistant. Florida is known as the Sunshine State. In warm and sunny places like Tampa, you could be losing money by improperly shading your house. With sunrays coming through the windows and naturally heating your house, the A/C system runs more frequently to cool it back down. This raises your electric bill. With outdoor shutters, you can control the amount of sunlight you allow in. On particularly sunny days, you can keep the blinds closed and keep energy costs low. In addition to saving you money, this shade solution can also increase your general comfort. Rays of sun often reflect off objects and create glares, making it difficult to see. Blinds block the sunlight and enhance your visual comfort. Users can close up outdoor shutters tightly, keeping others from being able to see inside your home. Whether your home is on a busy road or near a popular walkway, you will not have to worry about who can see you. In addition to visual privacy, window louvers can also help dampen noise. The installation of outdoor shutters reduces noise from loud cars, noisy neighbors, and any other sounds. 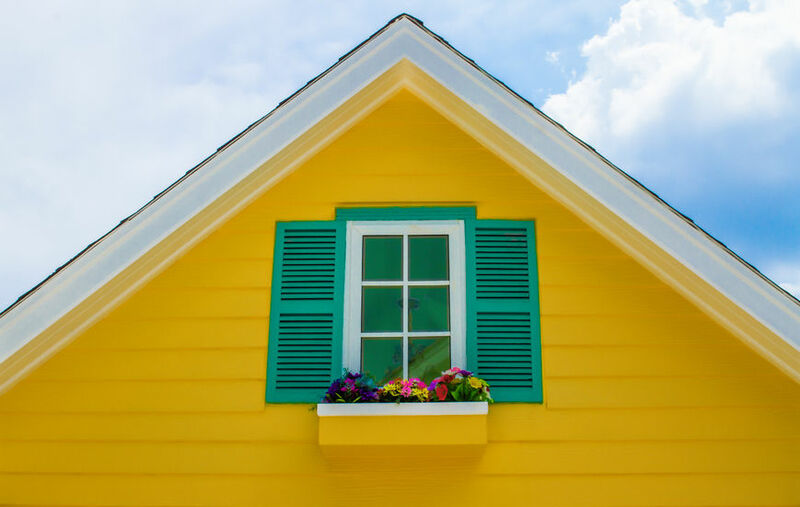 With many different types of styles, materials, and colors, there are outdoor shutters for everyone. Popular types of exterior louver include Bahama, Colonial, and Board and Batten. Bahama louvers hinge up and have a Caribbean feel to them. Both Colonial and Board and Batten style open out, though Board and Batten have a rounded top. Outdoor shutters can be made from many different materials. Plastic is relatively inexpensive, though sunlight discolors this material and makes it brittle. Laminated and wood give a classic and elegant look, though the high humidity of Tampa makes these poor options as the wood can become weak and will not stand up to severe weather. Aluminum provides a perfect material for exterior window covers. This material is durable and can stand up to high humidity and sunlight. Master Aluminum makes louvers for residents in Tampa and all over Florida. We use 6063-T6 aluminum to ensure durability. Master Aluminum also offers many colors to guarantee the perfect louvers. Options range from standard colors like grey beige and hunter green to custom hues like luminous green and heather violet. No matter the style of your house, there is a color to match. Exterior blinds can be a costly accessory for your home. In addition, they are not made for all frameworks. With tilt-in panes, the blinds can keep you from being able to actually use your window. However, the benefits of this type of window covering exceed the cons. This addition increases the value of your home. So, though you may pay slightly more upfront, you can get that money back if you decide to move or if a storm causes damage. This form of louver is also very easy to clean. All you need is a hose and detergent. Master Aluminum provides the Tampa area with exterior shades perfect for any home. With varying styles and colors, we have the right window protection for everyone. Our products ship from the factory ready for installation. We also offer product warranties and we are a part of a quality assurance program to guarantee you receive the best product. To learn more, contact us online or call at (727) 725-1744.